If you have invested a lot of money into your website and have not received a good ROI, it is definitely time for a South Florida SEO Overhaul. Matthew Harris the owner of MYC has 15 years of experience in Internet marketing and search engine optimization. These days just having a website is not good enough! Your site needs to have all the proper tags, back-links and relevant content to be found above your competition. To get traffic to your site from search engines like Google, Yahoo! and Bing we start by submitting your site to search engines, adding keywords, building links, and more. We’ll even help you promote your business on Facebook with custom pages and help you learn how to utilize Twitter to promote your brand and drive traffic to your site. Your Website and its Google ranking can make a huge difference between a successful site and one that will continue to struggle. Getting your website on the front page of Google, Bing and Yahoo! is no simple task and usually takes many months to achieve this goal. 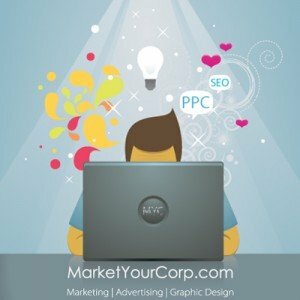 MarketYourCorp.com is your search engine overhaul expert, get in touch with us today and find out what we can do for your website and its ranking on the major search engines. MYC is your South Florida SEO specialist. To learn how your organization will benefit from a South Florida SEO Overhaul contact us at 954-916-9800 for a no obligation consultation.